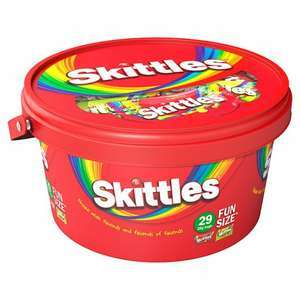 I've never seen a big tub of Skittles before, just looking at the pic is making my teeth feel furry. 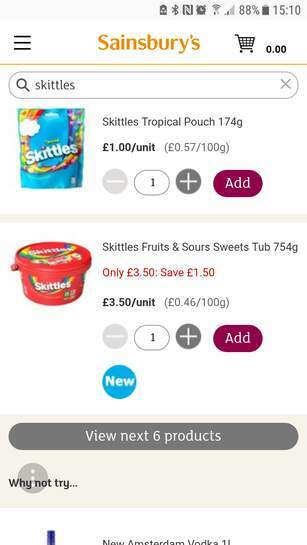 Good deal, heat added.I've never seen a big tub of Skittles before, just …Good deal, heat added.I've never seen a big tub of Skittles before, just looking at the pic is making my teeth feel furry. Hot deal. If you want one tub of skittles I'm sure I've just seen them for £3.50 on their own at Sainsbury's. 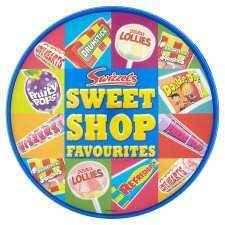 Shame the skittles isn't a huge box of skittles, but just loads of bags tossed in one tub. 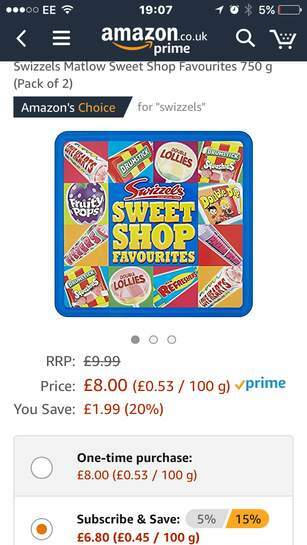 Swizzels pack of two 750g tubs is £8 at Amazon. 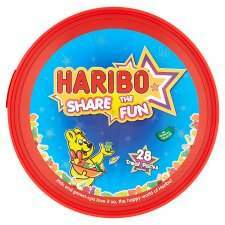 Subscribe and save on 15% savings knocked the price down to £6.80. 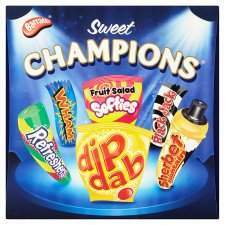 Hope that helps a few people too.